Join millions of players in a video game that grows every week! Create a free character and embark on an epic adventure in a beautiful and ever-growing fantasy world filled with monsters and quests. 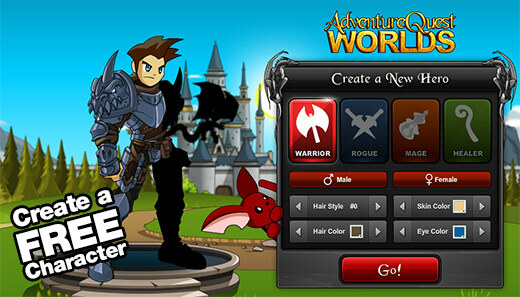 AdventureQuest Worlds is a free-to-play web browser-based MMORPG (massively multiplayer online role-playing game) with brand-new weekly releases, real-time combat, challenging quests, beautiful cinematic cut-scenes, thousands of equipable items, interchangeable Classes, and an entire world to explore. We expand the game every week with new monsters, weapons, quests, areas, holiday & special events, new features and more! 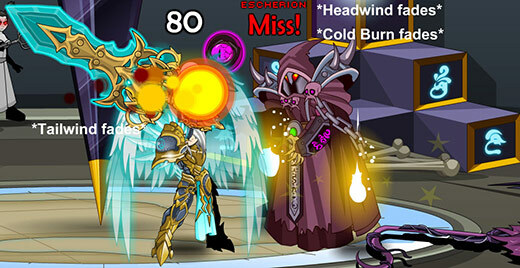 Because the game is built in flash, we can add and change things in the game while you play it. Our friendly team listens carefully to player feedback... and uses it to shape the direction of the game and storylines! We normally release the newest adventures on Friday, but we frequently do mid-week releases too. New MONSTERS, WEAPONS, QUESTS weekly! Safe and Easy to Play! With flash based fantasy adventure games you can play anywhere, anytime, all the time! All you need is your web browser and the flash plugin (which is standard on most browsers, or check out this guide to enable flash) to jump into the action. 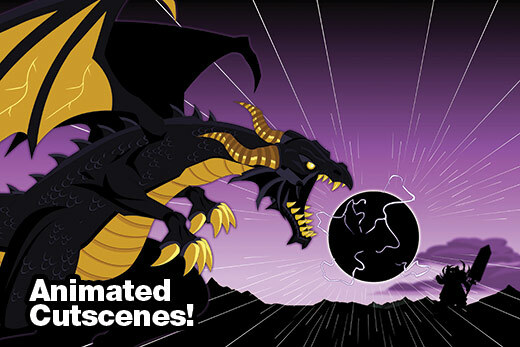 Created from the ground up by our creative team, AQWorlds lets you explore and battle in real time. Super friendly & crazy fun team building the game under your feet while you play it. 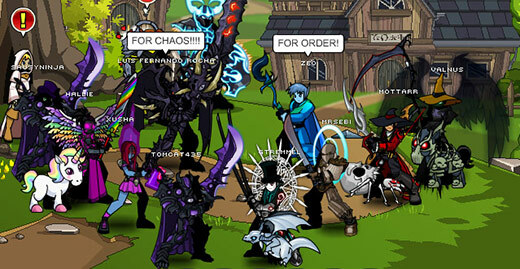 Chat, Guilds, Partys and PvP! With flash based fantasy adventure games you can play anywhere, anytime, all the time! All you need is your web browser and the flash plugin (which is standard on most browsers) to play. Get your own house and customize it! AdventureQuest was waaaaay ahead of its time! 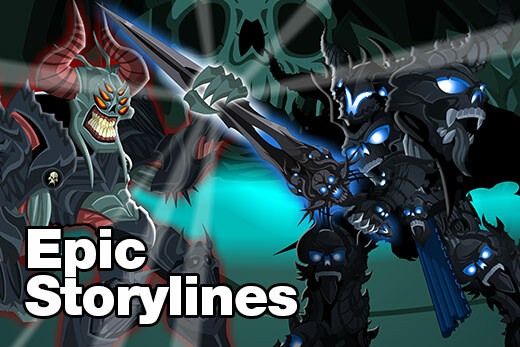 Evolving Main Storyline "The 13 Lords of Chaos"
Special Events with special guests! 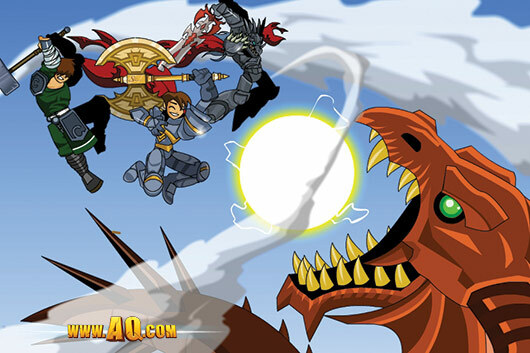 AdventureQuest Worlds is free to play! The team agreed that the entire main storyline should be completely free for all players to complete as we build it. If you enjoy the game and want to help us create the weekly releases, you can support us by becoming a Legend. Your account upgrade unlocks a ton of bonus features and content. It is a GREAT DAY for adventure!